I am a pastor's kid, and most of my extended family is either pastors or pastor's kids (or both). So I picked this book up with both interest and experience. 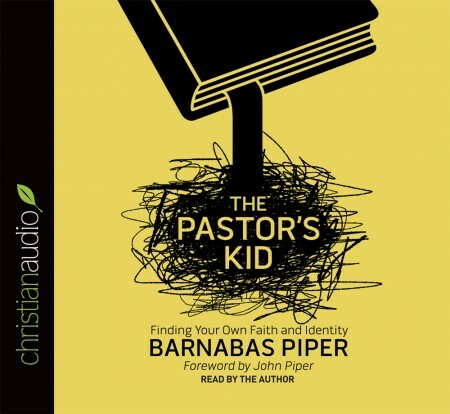 But the main section between the introduction and that concluding chapter can feel a little bit like Barnabas Piper is wagging his finger at you, either because you are a pastor that is not doing enough for your kid, or because you are a church member that expecting too much out of the pastor and his family (always his here), or because you are the pastor’s kid and you need to take some responsibility for yourself. All of these things are true individually. Pastors really do need to protect their family and model a balanced Christian life, not just for the sake of their family, but also for the sake of their church. Churches need to have appropriate expectations and allow pastor’s families to not be perfect. Pastor’s kids need to take some responsibility for how they deal with occasionally inappropriate expectations and sometime rude or intrusive people. But the tone of the book felt a little off, and that may be more of an audiobook issue than actual content issue. Barnabas is reading it himself and it seems a little too intense in his reading. However, his message is important. Pastor’s kids, like all kids that grow up in the church (just more so) need to discover the grace of Christianity personally. That is certainly one of the common issues of a PK. If you absorb the message that image is what is important about Christianity, then you fall into legalism. Barnabas also details a number of other ways that PKs miss the actual message of Christ. Even with my concerns, I think this is a book that is worth reading and important for many.